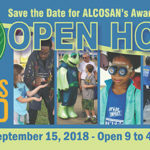 SPEO is still looking for members to volunteer to staff the booth – if interested, please contact Coreen Casadei at ccasadei@collectiveefforts.com. RSVP by 11/05 for this marketing/social media training event. Join SWEP-Three Rivers Chapter for this exclusive mentoring and networking event for women in all stages of their career. Learn what you need to know to meet the basic standards. 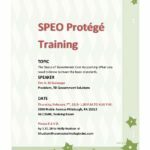 For SPEO Protege Member Firms Only.